The original charm bracelets date back to ancient Egypt, where charms were worn as protective shields, signs of status, and identification tags. Charms were also popular with the citizens of the Roman Empire and on into the Middle Ages, but it was not until the late 19th and early 20th centuries that charm bracelets were worn as decorative jewelry. During Queen Victoria’s reign, bracelets featuring small lockets, family crests, and glass beads became common.Antique charm bracelets are rising in popularity today because of the history associated with the jewelry. 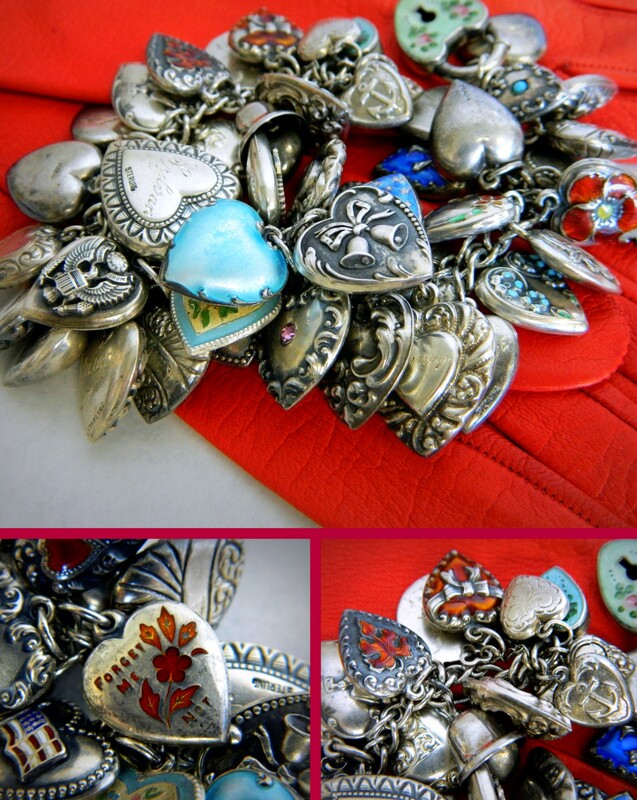 *Note researching this awesome Victorian charm bracelet purchased on OnlineAuction.com. I found this picture of how they were originally sold, it looks like they cost 1cent! Wow! amazing. 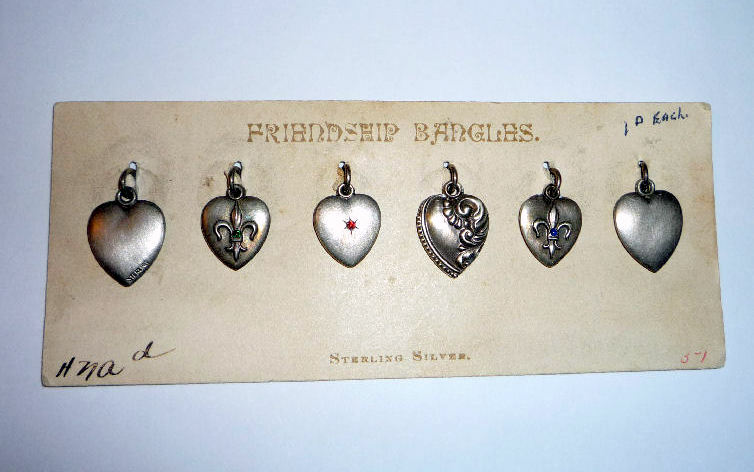 http://vintage-charm-jewelry.com/?p=900 source. thanks for reading my blog! !